Work ongoing at the rehabilitation of roads project by Lagos State Public Works Corporation. 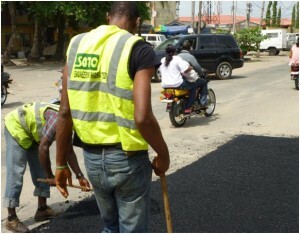 Copyright © 2012 SATO ENGINEERING NIGERIA LIMITED. All Rights Reserved.